Conferences are complex events. We treat each one we host as a completely bespoke project, taking the time to understand your delegates, content and goals. Luckily, our 1950s modernist-style, London venue has a wide variety of rooms and catering options which means every element on your schedule can be held in a space which suits your numbers and logistical needs. Our largest space, Congress Hall, has capacity for 500 delegates sitting in a theatre-style and comes with an adjoining foyer. On the same floor you’ll also find Congress Suite, great for breakouts, catering and exhibitions. 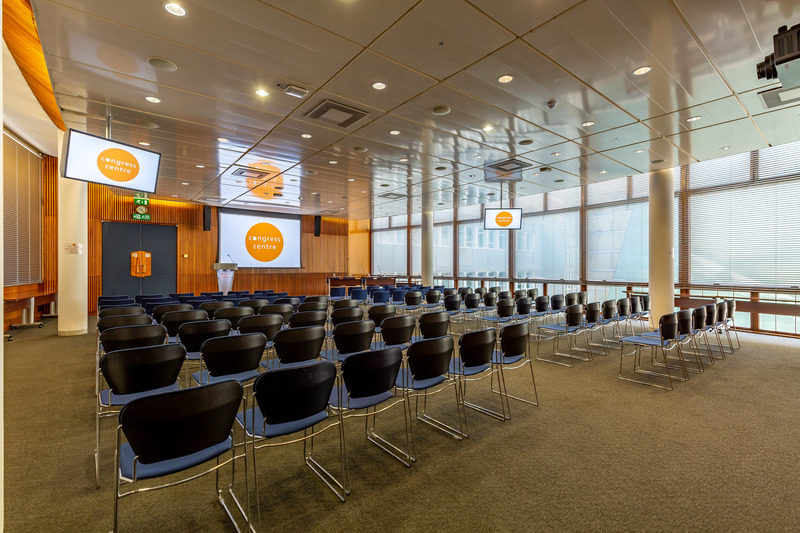 We also have a further conference space which holds up to 160 attendees in a theatre-style and several other options for smaller talks, seminars and food and drink. Our in-house caterers have packages that will suit all of your food and drink requirements, whether you’re holding a networking buffet, providing mid-morning snacks or a hosting celebratory, post-conference, sit-down dinner. Our kitchens are also more than happy to tweak our offerings or to create totally bespoke menus if you have specific ideas in mind. The AV facilities in Congress Hall are second-to-none and include a 21,000 lumens HD projector, an 18ft drop down screen, a stage, two 85 inch plasma monitors for visual reinforcement and a whole host of other equipment. You can also enlist the services of our in-house technicians which will leave you free to concentrate on looking after your invitees on the big day. 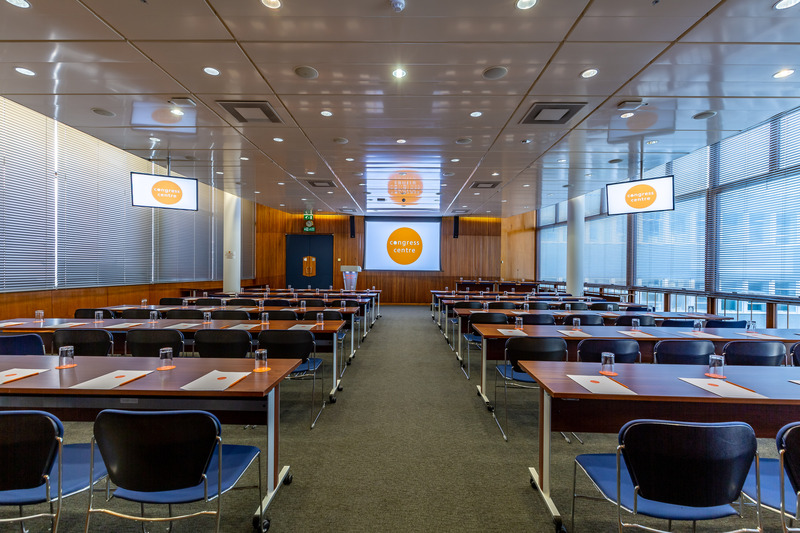 Whether your delegates are local, national or international, getting to Congress Centre is easy as we’re a just a few minutes’ walk from Tottenham Court Road and about 5 minutes’ from Oxford Street and Covent Garden. As well as being handy for public transport links, our location is also great for post-conference entertainment and accommodation. 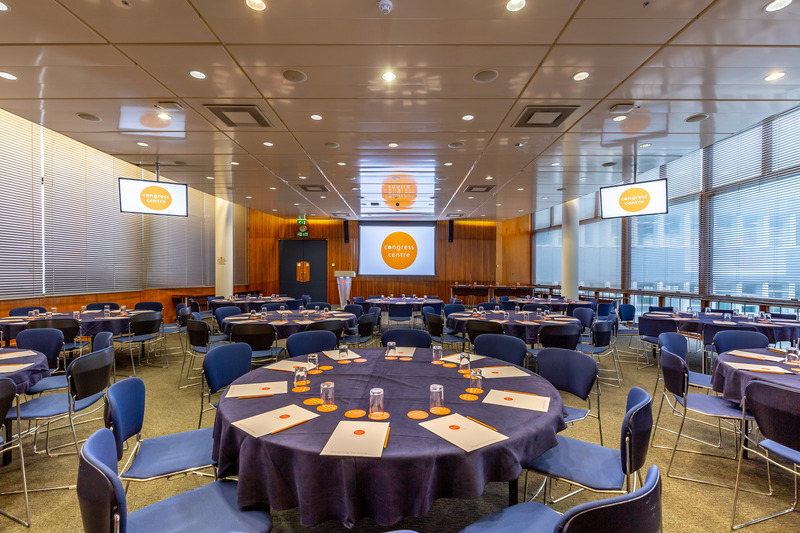 If you’re looking for a central London conference venue with state-of-the-art AV facilities that will leave a lasting impression on your delegates, get in touch with the Events Team on 020 7467 1318 or email congress.centre@tuc.org.uk to discuss your dates and ideas.